Igoumenitsa, Greece. Fifth night of the trip. Airolo, Swiss Alps. I had a very tough ride that day of November 2015, going uphill all day.. But, when I found this truly AWESOME camping spot, I forgot everything! I went to a hostel, in a small Colombian city called Popayan. I needed some time to focus on a University essay and submit it in 5 days. I missed the deadline. I stayed 38 days in that hostel. For the first time in my life I was writing furiously, non-stop ― personal notes, feelings etc. . Result: 80.000 words in 16 days, and then editing and uploading. On day 33, Jhana comes into the dormitory, from Colorado, packing her stuff and talking to me for the first time: Wanna live an adventure? Well, I am writing you know, here, first time… – Come on, let’s go hiking. Next day: Volcano Purace, incredible. 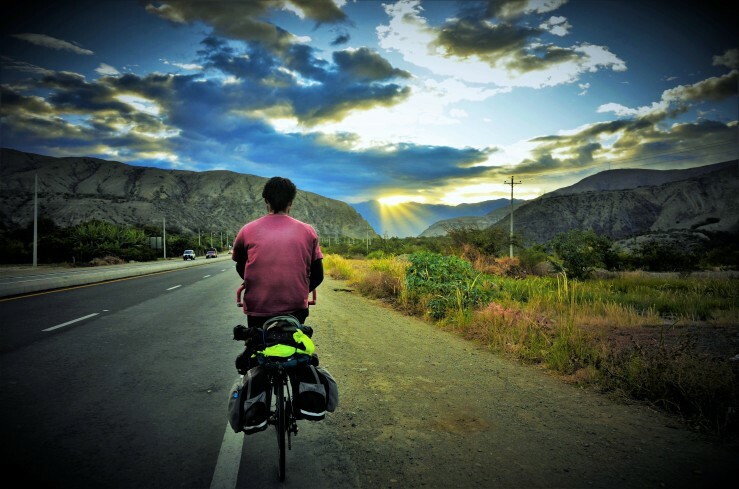 There are some places in all South America, where touring cyclists can be hosted for free. Here I am in Tumbaco, Ecuador. I stayed there for a month, because I needed to spend some time at… the dentist.. I had plenty of days to write my blog posts, and just be creative. For this pic, I spent 5 hours. Putting the bike up there, experimenting with the light… I needed four flashlights (2 in the tent and two under the tree)! For 4 nights I was the highest sleeping human of the Earth. Closest to the stars than anybody else! And no, I am not in Everest, I am in Mount Chimborazo, Ecuador ( http://tinyurl.com/tadatadaaa). This is the view from inside my tent!! On my way to Chimborazo, Ecuador. This photo looks like a painting, no? Close to Ibarra, entering Ecuador. Bay of Kotor, Montenegro, Europe, November 2015. 6000 m above sea level, but only 300 from the highest point on planet Earth. We had to stop because of high avalanche risk ☹ Mt. Chimborazo, Ecuador. Paris, December 2016 – Let’s do it! In Tumbaco, close to Quito, capital of Ecuador. 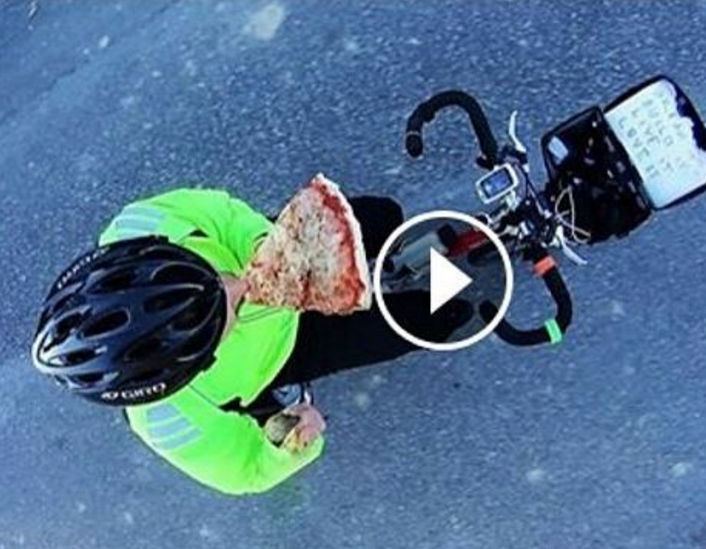 I made a solar oven to cook for free WHILE riding. You can check this: https://youtu.be/BLMuHzy0NbI! Bogota, Colombia, 25 March 2016. Triple celebration. Greek National Day, Grandma Adamantia Birthday, last day staying with Ana Milena (family lunch). Detailed Activity Log of the rides, here. Or, my profile in Garmin, and Strava. You feel an urge to support such a beautiful trip?! There is a way – click here.